A parliamentary report of 1777 recorded a workhouse in operation at Heddon on the Wall for up to 50 inmates. 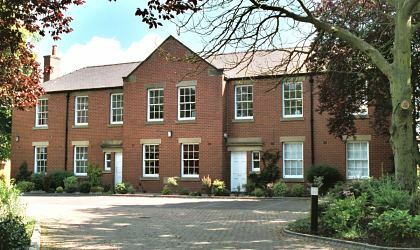 Later premises were located at the east of the village in a building originally known as Heddon Square, built in 1796 to house mine workers. However, it was immediatley pressed into service to house a party of refugee Huguenot clerics and so became known Frenchman's Row and later housing the parish poor. Northumberland: Belsay, Berwick Hill, Bitchfield, Bolam Vicarage, Bolam, Bradford, Brenkley, East Brunton, West Brunton, Butterlaw, Black Callerton, Little Callerton, High Callerton, Capheaton, Cheeseburn Grange, Coaldcoats, Coxlodge, Dalton, Darras Hall, East Denton, West Denton, Dinnington, North Distington, South Distington, Eachwick, Fawdon, Fenwick, Gallowhill, North Gosforth, South Gosforth, Harlowhill, Harnham, Hawkwell, Black Heddon, East Heddon, West Heddon, Heddon-on-the-Wall, Heugh, Higham Dykes, Horton Grange, Houghton, Ingoe, Kearsley, Kenton (2), Kirkheaton, Kirkley, Mason, East Matfen, West Matfen, Milbourne Grange, Milbourne, Nesbitt, Newbiggen, Newburn Hall, Newburn, Newham Ogle, Ouston, Ponteland, Prestwick, Riplington, Rudchester, Ryall, East Shaftoe, West Shaftoe, Shilvington, Shortflat, Stannington (2), Sugley, Throckley, Trweick, Twigill, Wallbottle, Whatton, Whitchester, East and West Whorlton, Woolsington. The population falling within the union at the 1831 census had been 15,539 with parishes and townships ranging in size from Darras Hall and Higham Dykes (population 15 each) to Kenton (1,106). The average annual poor-rate expenditure for the period 1834-36 had been £5,734 or 7s.5d per head of the population. 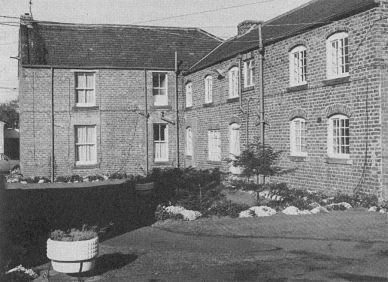 The workhouse later became Ponteland Poor Law Institution and then Ponteland Hospital. The buildings were demolished in the late 1990s and the site is now occupied by housing which, aptly, is called Guardians Court. Castle Ward former workhouse site from the west, 2001. The Castle Ward Union operated a children's home at Ponteland. In 1924, the home could accommodate 17 children. The 1915 map of the workhouse site (see above) shows a small cottage home to the north. However, the map indicates that it was run by Newcastle City Council rather than Castle Ward Union. The building still stands, now used as a nursery. Ponteland cottage homesfrom the west, 2001.